Memorial Day 2014 - some thoughts on hope and despair. and cast our care entirely upon Him. helping us to do what seemed impossible. but in the emptiness of a hope that may come close to despair. instead of falling over the edge, we find ourselves walking on the air. God's power is suddenly made perfect in our infirmity. to seek Him quietly in the face of peril, certain that He cannot fail us. Homily for Fifth Sunday of Easter – cycle A - "I am the way ... the truth ... and the life." They are reeling. They are in shock. They are totally confused. Their world has been turned upside down. Thomas and Philip say: Where are you going? Master we do not know where you are going. How can we know the way? Master just show us the Father that will be enough! They don’t get it. They don’t see what’s going on. They don’t understand that He came to give his life away … for us … for our salvation. They don't understand that he came to die and then go prepare a place for us with him. “Have I been with you for so long a time and you still do not know me?" but many in the world seem so lost, wondering aimlessly, heading the wrong way. and yet so many chose to embrace the lies of the world. yet people are living such lifeless lives, depressed, addicted and dying inside. The problem we face as Christians, as followers of Jesus Christ, is that ... his way ... his truth ... and his life ... looks crazy to the world. As St. Peter said it in the second reading, his way - truth - and life have been rejected by human beings. His ways are a stumbling block for the world. But for us, they should be the cornerstone on which our lives are built. The early church the church of the apostles and first deacons, after his death and resurrection, “got it.” So much so, they called their movement “The Way.” They completely accepted the teaching that believing in Him and living as He lived was the right way to live. And what is that way? It is to believe in the TRUTH that Jesus spoke; and to embrace the WAY of LIFE that Jesus lived. Jesus humbled himself. He became one of us. Being in his very nature God, he did not consider equality with God something to be used to his own advantage. Rather, he made himself nothing by taking on the very nature of a servant. 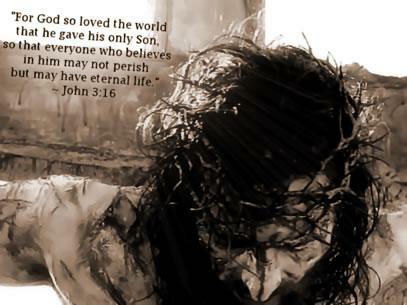 He took on our humanity and then gave his life so we might live. Rather than us serving Him, he came to serve us. “I am the good shepherd, who is willing to die for the sheep. When the hired man, who is not a shepherd and does not own the sheep, sees a wolf coming, he leaves the sheep and runs away; so the wolf snatches the sheep and scatters them. The hired man runs away because he is only a hired man and does not care about the sheep. I am the good shepherd. As the Father knows me and I know the Father, in the same way I know my sheep and they know me. We have all grown up with art work depicting the Good Shepard as a gentle Jesus cuddling a little lamb. That is hardly the scene Jesus presents in John’s gospel. In this scene, the shepherd is standing between his sheep and a hungry wolf baring his teeth and he does not run away. He lays down his life. The message for us is that apart from Him–apart from Jesus–we are wolf food. That’s the point of Easter. Easter is the celebration of Christ’s victory over death. Easter is the victory of the Shepherd from heaven over the wolf from hell. And the prize is you and me. But the victory comes at a heavy price. We need to let go of the pretty picture of a gentle shepherd surrounded by His adoring sheep. And see that Jesus is the Shepherd who stands between us and the wolf and gives his life to save us. Our Shepherd lives to defend us forever. that we believe that this God-man spent a significant amount of time doing the things all children do. We believe that tears, tantrums and teething are therefore just as much the works of the one true God, as are the making of “the heaven and the earth, the sea, and everything in them” (Acts 4:24). If that were not challenging enough, we say that this God-man as an adult was tortured and murdered, subjected not even to some glorious death but the death of a common criminal, the same execution experienced by countless slaves, bandits and enemies of the Roman state. Just the method if his death alone is the cause of so many interesting questions about the kind of God we are dealing with. is an inconceivable God. Who would ever imagine this story? That’s the whole point – it is incredible and purposely so. God wanted to shock us! What’s truly astonishing is that so many people who know the Christian story are not shocked. The birth of Christ and the death of Christ - these two fundamental teachings, these two events – are surely among the wildest and most outrageous claims ever proposed in human history. And yet we who claim them as true completely take them for granted. Somehow, in the course of 2,000 years, these events have become so familiar, so tamed and domesticated, as to seem hardly worthy of comment, let alone wonder or puzzlement, among those who profess them. Amazing! This was not true of the early Church. St. Paul once said: “We proclaim Christ and him crucified, a stumbling-block to the Jews and foolishness to the gentiles” (1 Cor 1:23). A crucified Messiah was blasphemously scandalous for a Jew. No one was expecting a crucified-and-raised Messiah remember the disappointment of the two disciples of Christ walking the road to Emmaus. For the gentiles, as St. Paul said, the entire assertion was folly. The very idea that the Son of God – the savior of the world – would be born in and grow up in one of the most obscure corners of the Roman Empire. Surround himself with a motley assemblage of peasants and fishermen and would be arrested and crucified as a common criminal before miraculously coming back to life a few days later as the savior of the universe—surely these were the ravings of crazy people! Yes these claims are inconceivable and that is precisely why they have shocked and challenged and inspired people for centuries. Once you accept them to be true and the motivation for our God’s outrageous humility is for love of us - individually – it changes you forever. 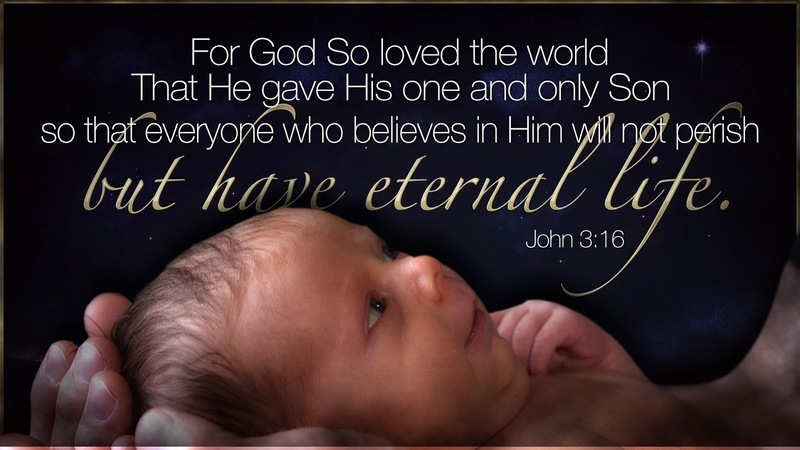 God humbled himself to come into the world and die - for you and me! But somehow in the last few decades we have lost the wonder and shock of it all. Christians apathetically think – a diaper-clad creator? Fine. A god who gets tortured and murdered for me? No problem. A carpenter who picks a bunch of fishermen saves the universe? Whatever. We act as if these are the most boringly obvious facts one has ever heard. And sadly Christian preaching, in the present day, only seems to feed this apathy. By presenting “Christ and him crucified” as something commonplace and uncontroversial we not only condition others to be uninspired but lull ourselves into some bored disbelief. Who will be encouraged to turn their life around for a belief that is so uninspiring to those of us who do believe? The Crucified God, in all honesty, is often better recognized by non-Christians and atheists than by religious Christians, because it astonishes and offends them. The problem with Christians is that we are too familiar with our story. We've ceased to be shocked, and thus inspired and challenged. It is one thing to believe that Christianity is true. It is quite another to feel amazement and to build (or rebuild) one’s life around it. Our evangelizing must focus on the amazement of what we believe. People are drifting away who know the story of Christ because they have not been challenged to form their lives around this faith. The story of Christ is in their heads but not in their hearts. that is what we are called to do!